The Aquascape Construction Water & Garden Showcase makes its splash this summer with a variety of water elements incorporated into outdoor living spaces, creating unique and exciting homeowner gardens! 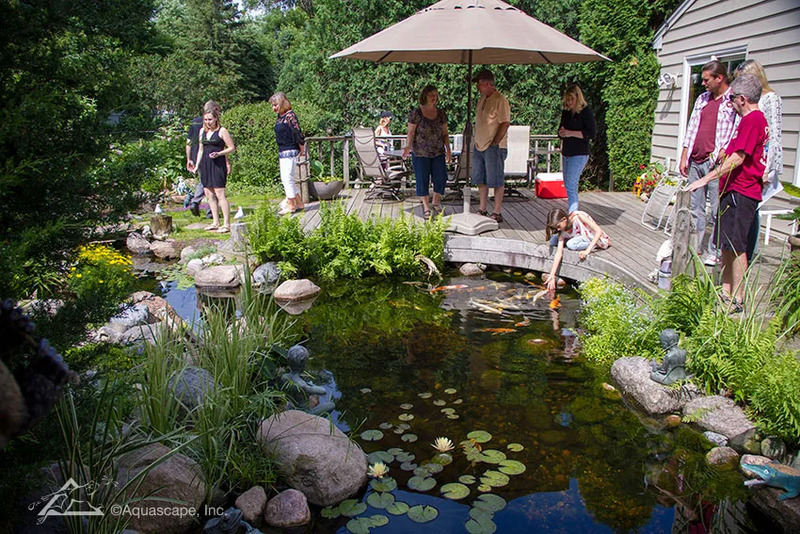 Mark your calendar for these residential water and garden showcases that feature Chicago-area communities on the third Saturday of each month, from June through September. Be inspired by unique water features of every size, artfully carved into the landscape. Feed fish with the kids, enjoy an exciting day with friends, or stroll hand-in-hand with a loved one through private gardens that spotlight the perfect marriage of water and plants. Visit all locations, or explore just one. Join us for self-guided walks through "aquascapes" and landscapes around the Chicago area.